In Year 6, we work together to prepare for the Sacrament of Confirmation. This is a very special time as it encourages children to reflect on our faith and think about what it means to be a follower of Christ. Daily prayers, hymn practices and participation at Mass enable children to learn and grow in faith. We each choose a saint who inspires us and who we can follow as an example of how to live a life of dedication. Our faith permeates all that we do in school and we live as witnesses of our faith at all times. 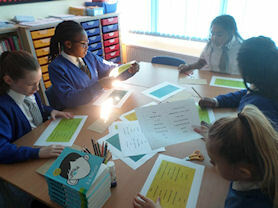 Each day we have Literacy and Mathematics lessons and we learn skills which develop our knowledge and understanding. We also have PE and Computing lessons throughout the year, as well as History, Geography, RE, Art, Design Technology and Science – it's a very busy time! We follow the Jigsaws scheme of work in PHSE helping us to understand ourselves better as we grow older. This is a vitally important year for us as we grow and become more independent. We have lots of jobs and responsibilities to help with the smooth running of the school. Our teachers have very high expectations of us and we know that we have to set a good example to the younger children. In Year 6 we take preparations for secondary school very seriously, this starts with completing our homework on time and being responsible for organising our time and resources where possible. We also work with younger members of our school community being responsible models at lunchtime. Our time at St Jude's Catholic Primary School is celebrated at the end of the year with a Leavers' Assembly, a Leavers' Mass and a party. These provide us with fond memories which we take with us to our new school. 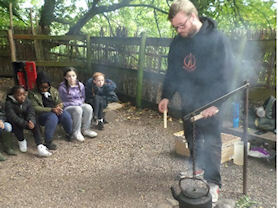 Our residential at Alton Castle. 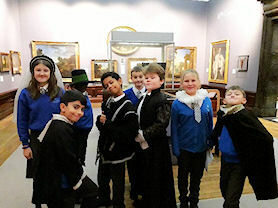 Lots of fun was had dressing up at Birmingham Museum and Art Gallery. 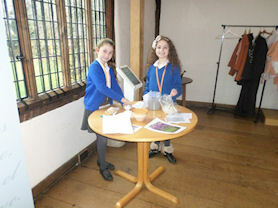 Children in Year 6 guiding visitors around Shakespeare’s Birthplace. 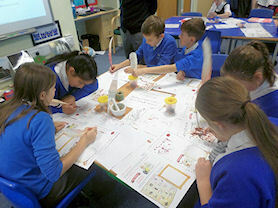 Quill writing as part of the Shakespeare Project.